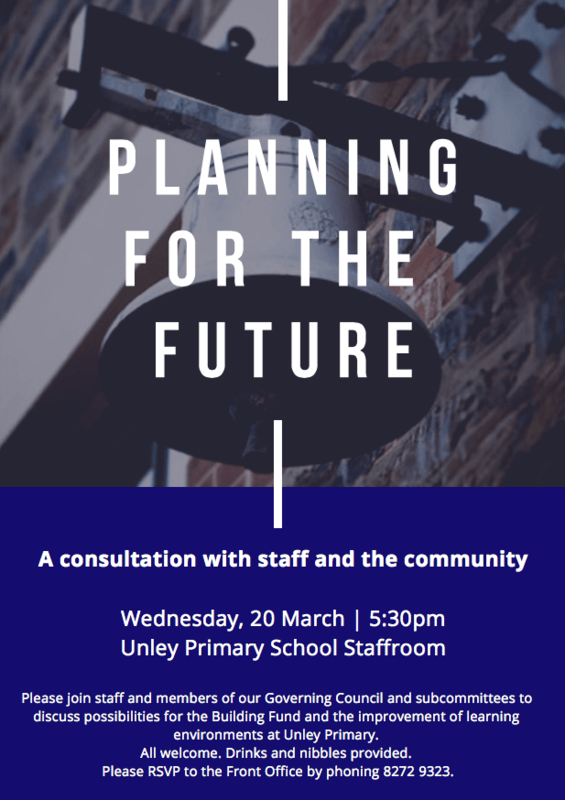 Parents and carers are invited to join staff and members of our Governing Council and subcommittees to discuss possibilities for the Building Fund and the improvement of learning environments at Unley Primary. We will meet on Wednesday, 20 March at 5:30pm in the staffroom. Everyone is welcome and drinks and nibbles will be provided. Please RSVP to the Front Office by phoning 8272 9323. We hope to see you there.